I’ve always thought that some people are fighters and some people are runners. Leith’s always been a fighter. He fought for his addict dad, he fought in the ring, and he fought hard when it came to figuring out his sexuality. But, see, being a fighter isn’t always good. Sometimes people get hurt that way. Leith knows that all too well. The way I see it, the main difference between a fighter and a runner is in their instincts. A fighter attacks the problem, clings to it, rolls around and wrestles it into submission. This is one way Leith hasn’t changed since the injury: he’s still going to wrestle with his demons—and my demons—until he’s beaten the fight out of them, until he has them in his grip. I admire that about him. But I’m not the same. See, I’ve always been a runner. I remember the summer I was nine. My friend Jeremy’s mother caught us with our pants down and our hands on each other’s little dicks. I barely got my shorts up before I was running out the door, running, running, running down the sidewalk, running into my house, running up to my bedroom, running back out again with a bag of clothes, running down the street toward the park, running until I realized I had nowhere to run to because I was too little to escape the consequences of what I’d done. So I walked back home, terrified. I had to fight the urge to run again when I faced the belt my grandmother wielded with a fierceness my mother could never muster. My first instinct is always to run. When I was older, I ran the circumference of the earth more than once. The cruise ship I worked on was nothing but me in constant running mode. No place to call home, no relationship to call permanent, and no commitments or mistakes stayed with me for more than a few weeks’ time. It was during my cruise ship years I started my vlog. It was perfect for a runner like me: a place to dump my emotions and record my experiences, and then just leave them there to run away into the ever-changing world. It was like a cyber-anchor of sorts, a place I could tell myself I’d dropped meaning, off-loaded a piece of me, and yet the consequences of that deposit were, once again, something that didn’t stick around and impact my daily life. My cruise ship years were exciting and emotionally superficial, but ultimately unsatisfying. My sister called it growing up. I called it loneliness settling in. Even runners need someone to love. In New York, I found that someone. His name was Leith and he identified as straight. It wasn’t easy. He’s a fighter and I’m a runner after all. When he realized his attraction for me, he fought it hard, and I desperately wanted to run away from him. But I’d put myself in a situation where I was committed to a job and to running a bar, so I couldn’t leave. Even though Leith fought his affection and attraction, it was only a matter of time until he wrestled the meaning of his feelings for me into a heated and intense conversation that ended up with us naked on the floor of his bedroom. After that, he stopped fighting his feelings and started fighting for me. And I stopped wanting to run away, and instead ran to him. Then the accident happened and he lost his memory. I admit, I did some stupid things. I struggled with my urge to run as far away from the pain as I possibly could. But even though it took me awhile, I’ve learned that you can’t run away from pain. It finds you and you’ll feel it. It’ll take you down and wrestle you until you submit to it. Pain’s a fighter. Like Leith. Pain will get its grip on you. But I’ve also learned that pain isn’t merciless. It lets joy have its way, as well. And that’s what this book, The River Leith, is about. It’s about me, Zachariah Stevens, learning not to run. It’s about Leith and his beautiful, merciless desire to fight for what he can no longer understand or remember feeling. It’s about how a runner and a fighter wrestled their way to a beautiful new life after losing the one they’d already fought to win together. It’s about love and how it never forgets. 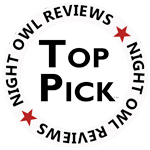 via Night Owl Reviews, The River Leith. Click on through to see the other books listed and to find a link to Jay’s review of The River Leith! June’s Favorite Books — Joyfully Jay. One of Joyfully Jay’s fave books of June! You can read the first chapter of The River Leith over at DRB1stChp Blog today! If you’ve been wondering if you want to give the book a try, this is a good opportunity to see if the first chapter is of interest to you. 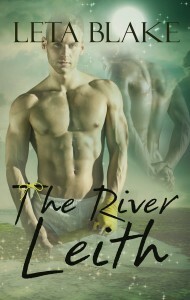 DRB1stChp Blog | The River Leith by Leta Blake. Click to read the first chapter today! Memory and Forgetting – Radiolab. I did a lot of research for The River Leith. The above Radiolab episode was some of the most interesting and memorable. The section on Clive Wearing was touching, amazing, and very depressing all at once. I absolutely recommend this episode for anyone curious about memory and amnesia.